First of all….Happy new year! I pray 2015 is ‘the’ year where all your dreams come true! Cheers to open doors, abundant grace, mind blowing opportunities, peace, love and happiness. So, in case you are wondering at my title…..You guessed right! 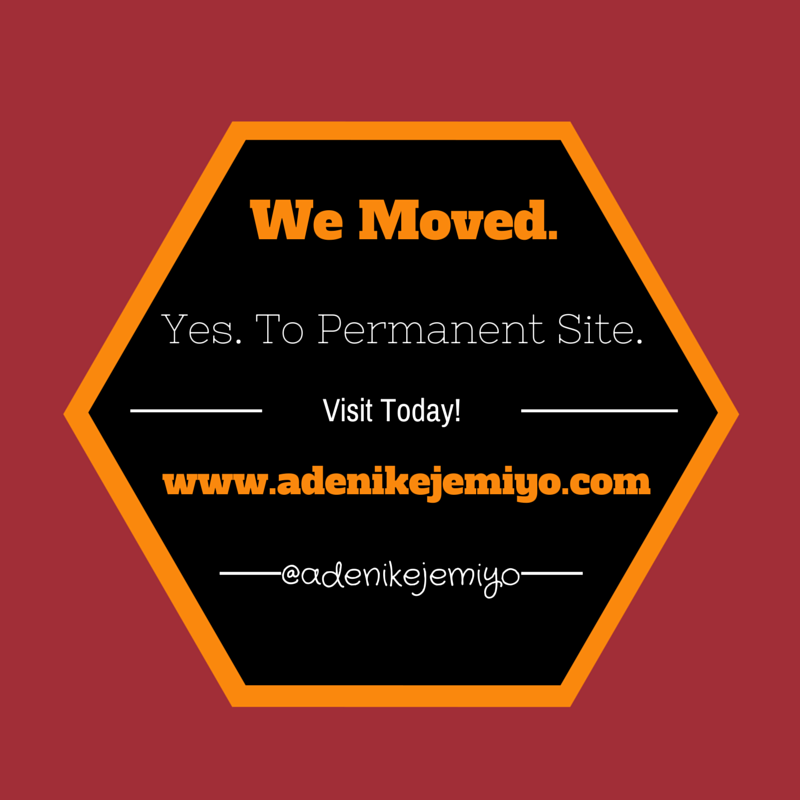 I moved to ‘permanent site’: www.adenikejemiyo.com. And there is a great post on there already! 365 days reloaded: Be deliberate this year. You don’t want to miss that now, do you? Thanks so much for being a part of my 2014, I hope you will sign up again on www.adenikejemiyo.com. I intend to focus my content on two key things: practical life applications of project management, and insights to help you excel in the world of work. Thanks to Barney and friends, I woke up this morning with a great song playing in the corners of my mind. It’s a great day, a beautiful day. And that’s the way to be. See how the clouds go drifting by. See how the sun lights up the sky. See all the colors of the world. See all your friends, each boy and girl. So, no matter what your situation is today, I hope that you’re glad that you’re alive and happy to be you. God does make everything perfect in it’s time. 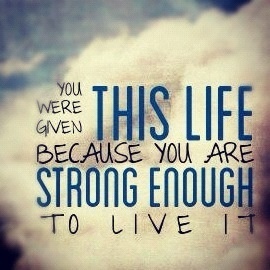 You are indeed strong enough to live this life you have been given. Why not live it happily by filling your heart with gratitude for the seemingly little things. You can ask the holy spirit to help you. Have a happy weekend, won’t you? The classical definition of clutter is cramming so much into a space than it can actually hold meaningfully. I just read that definition again and I sorta feel proud! You can quote me if you need to use it…lol. If you’ve seen any episode of clean house on DSTV (used to be hosted by Niecy Nash), I’m sure you’ll agree with me. Episode after episode you find people who clutter their homes to mind-numbing degrees. Sometimes, I can’t help but wonder “who does this?”. How do you keep bringing more stuff into your home to the point where there is hardly walking space. In fact, there is hardly sleeping space on some beds! Pheeew! This process of cluttering happens gradually, and quite unintentionally too. Those pair of shoes that seemed like a deal you couldn’t afford to pass up (even though the shoes were not exactly your size sef)! Those clothes you are holding on to in hopes of losing some weight (I’m everly guilty of this one), all those hair care and skin care products that lose their appeal after the first use. Take away plates nkor? they seemed like great freezer bowls at the time but you have now accumulated so much! That sounds like you right? Me too……. A few months ago, I took a look at my entire household and I was confronted with so much belongings. Clothes, shoes, cosmetics, take away plates, cereal bowls, old toys, books…Oh books!!! My home was almost overrun with materials in print. Old training manuals, children’s school books (they bring tons home at the end of every term), magazines, newspapers……O ga! DH happens to be in love with books, and when he is hung on a particular topic he can buy a dozen books in a space of a few weeks. I’ve tried every trick in the book to caution the rate of purchase, but nothing seems to work! Biko, haven’t you heard of kindle? Old school things….lol. It brings me to a realization that most of us overestimate what we actually need for a fulfilling existence. Face it, you have enough clothes and shoes, what you lack is creativity. Ouch! Did that hurt? Not intentional, lol… Here’s a litmus test, if there are clothes or shoes in your wardrobe that you have not worn in 3 months, then you most definitely have more than you need. You can stretch that a bit and say 6 months if you like. Many of us have clothes and shoes we haven’t worn, or only worn a few times in 2 years! Interestingly, so much belongings can actually be a pain in the behind! Clutter weighs down, clutter masks beauty, clutter makes it difficult to get to what is important. Have you ever been in a situation where you want to wear this particular skirt/ top and you have to throw everything down and sweat it out in order to get to it? You need to declutter! Like our homes, many of us gradually clutter our lives. Quite unintentionally too. We sign up for one more activity. Make one more commitment. Volunteer in one more cause. Join another group in church. We hold on to issues in our hearts, long after they have lost any relevance. When we should have healed and moved on, we choose to stay in pain. Dealing with clutter is tough and tedious, but it must be done at some point. The fatigue and burn out it leads to are surely not worth it. At the end of the day, just a few things really matter, and if we are true to ourselves (as we should be), we know what these are. A calendar that is full to overflowing is not necessarily a good thing. I know that being busy makes some of us feel important, some even use activities as a form of escape. But be careful, so that you don’t trap yourself in a rat race. All motion, no movement. I have since adopted a systematic approach to declutter my home. Giving up belongings to a mission to the less privileged has been a great avenue for me. But, it hasn’t been an easy task. Many times I put away some things to be given out or even thrown away depending on the condition, but I find myself going back and saying this one is so pretty, maybe I can still wear it a few more times. Or, I just might lose enough weight to be able to wear this again. Decluttering can be tough and tedious, whether it is your home or your life. Taking the right steps to prevent accumulating clutter in the future is even tougher. But, the ROI can be magnificent. Less is truly more my dear! It’s time for you to declutter too. Both your home, and your life! I’m seriously chuckling. I feel like a little child with her hand in a cookie jar. I just stole away from my bed to do this. And then when I opened this blog, I found out the last time I posted here was in February! Haba! Thank God I defied sleep and got up. But you know what? I have a great reason! Oh yes, I’ve been keeping a precious secret! *more chuckles* We’ve been blessed with another sweet bundle of joy! **Drumrollplease**, and she is absolutely adorable! Nonetheless, this lil madam has taken over all of my time, both waking and sleeping moments. Alright, this blog was not supposed to be about Lil Miss Kiitan. Oh yes, that’s her name – Ayooluwakiitan! Or Ayokiitan. It literally means God’s joy never ends. Contextually God-breathed joy knows no bounds! Gotta love the name. But, come to think of it o. Ayokiitan was born in May, and I posted last in February. And she is the reason? Of course she is! I’m not discounting ‘pregnancy blues’! Lol…. So, what brought me here? I found out I was already in next year mode. Every great idea that crosses my mind is met with – next year. I’ll start that next year. Then it dawned on me that 2014 was no where near its end. It’s still 91 days – 3 to go! In weeks? 12 weeks and some! In hours? two thousand, one hundred and twelve hours. I guess the point is made! There is still so much we can accomplish this year! Shake off the ‘next year’ mode, if you are there too. 2014 is still rearing to go! Don’t let it simply slip away. So, my best post for this year is not written yet. My testimony for this year has sure not reached its concluding chapter. Afterall, the bible says: “Endings are better than beginnings. Sticking to it is better than standing out.” (Ecclesiastes 7:8, The Message Bible). Ah! Gotta love The Message Bible! Soooooo, I’m back and better! I’m sticking to it till the end…You? Wanna see ‘my reason’? Naaa! Gotta publish this now. Maybe next time. Lol! Update: I finished this just before 5a.m, and was about to click publish, then my system started acting up! It actually sort of ‘crashed’ + blue screen and all. But, thank God its back. Time to back up everything!! Today, I get to tell it all. 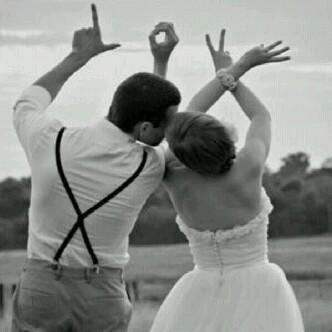 It’s indeed a wonderful story of love. Many people have asked me to tell this story but I have often shied away. It’s a long story but well worth the read. DH and I met when……..
Yay! Una too like gist!!! Anyways, now that I have your attention, just wanted to share a song with you. It’s been playing in the back of my mind since all the buzz about Val’s day started about a week ago. The lyrics are below, and if you don’t know the song I have included a link to listen and sing along. Make sure you sing along! Don’t worry somebody definitely loves you, with all your drama and all! For all the people still wondering how they’re going to get off work early today, FACE YOUR WORK O!!!! Happy Val’s day y’all! If I were God the Father, I will honestly put out a disclaimer. God does have many children alright, or so we think? In fact, many of the folks parading themselves as God’s children are nothing but impostors! They haven’t met God at all; at most they’ve heard about him or caught a glimpse of him from a distance. I don’t want to sound judgmental, but please be true to yourself and let us know: Who the hell are you?. I’m tired of church folks who do abominable things and still wear the name of God confidently like a badge. They lie, cheat, commit adultery without a wince. But of course, they never miss any church service or fail to give a generous offering and tithe. These ones play their game very smartly; they are different things to different people. They blend easily whether they are in the pious crowd or the other one. Do you know anyone who introduces himself/ herself as a man or woman of God? I mean without reason, without asking, someone tries to go out of their way to tell you they are children of God. Yes, you’ve just nailed one. Every single time I have come across an artisan who deflects your discussion with him towards faith and church, the results are always the same. They’ll cheat you without losing a heartbeat. There’s one that has been holding on to my money for over a year now, and won’t deliver the work. But of course, the very first day I met him which happened to be the beginning of a new year, he made it clear to me that he was going to pay his first fruits that week. Did you say ‘duuuh!’. Lol…That’s what I should have said then, and taken to my heels. Eh Nike, you’re taking this too far o, of course there are genuine children of God!! Oh yes there are, but are you one of them? You call God father, does He call you child? It’s far more important for God to call you child, than for you to call Him father. One is a feel-good cosmetic relationship, the other one is the real deal. After all, God called Abraham friend, not the other way round. James 2:22-24. Take a little while to appraise your ways today. Are you really really a child of God? Happy new year y’all! I haven’t written anything here in months, but the new year is a great opportunity to ‘ginger’ again. Here are some insights from my 2013. Do enjoy, and hope you will share yours too! Time heals almost everything. Give it time…. The greatest hurts can and should be forgiven. Forgiveness is liberating and energizing. I started last year deeply hurt by some really close people. For weeks I struggled to shrug off the hurt, but could not. You know it’s worse when people hurt you and believe that they have the right to do so, and would do anything to justify their actions. I did my best to stay off anything that reminded me of these people. Didn’t want to as much as hear their names mentioned around me. I thought it was best to ignore completely – both the hurt and the people who inflicted it. But, as the year wore on, I listened to many amazing messages by Pastor Poju Oyemade. Btw, Pastor Poju is the best teacher I’ve ever heard so far. The guy churns out some really deep life-changing spiritual teachings. Some of the ones I listened to last year hammered on the commandment of love. Love is a commandment from God. Children of God do not have a choice in the matter. God is love. Unforgiveness is on the opposite spectrum of love. Unforgiveness hinders the flow of the spirit, unforgiveness hinders answers to prayers. Unforgiveness is poison to the soul that holds on to it (some of these are mine). I find it interesting how Pastor Poju teaches this principle, he says it is possible for you to sit in your house, I sit in mine and there is no ‘beef’ whatsoever in my heart towards you. He says fulfilling the commandment of love starts with having sincere goodwill in your heart towards everyone in your circle of influence – family first, then friends and colleagues. Sincere goodwill means I will truly rejoice in your rejoicing and will not want any harm to come near you. I will be truly happy when you make progress in your life. I will pray for you, and send help your way if it is in my capacity to do so. It was easier for me to accept to do this, than to try and force these relationships, and open myself to further hurt. Good news! By the time 2013 came to an end I was able to do all of these things. It still took time, but gradually the hurt faded away completely as I started to embrace what I had learnt in these amazing teachings. I was walking in love. Maybe you are sleeping too much, maybe you are resting too much….. The clip starts with “You cannot change yesterday, but you can make decisions today that can change tomorrow”. Couldn’t agree more. We listened to this clip over and over again, so much that after some time one particular line started to stick out, and literally haunt me. When I’m taking a nap on a lazy afternoon, or when I turn off my alarm in the morning for a little more snooze; I would hear it as clearly as though Pastor Chris was standing next to me. The line says: “Maybe you are sleeping too much! Maybe you are resting too much! (Maybe you’re playing too much) ” Of course each time I was jolted wide awake. Needless to say I have accomplished a lot more in a shorter while since I stopped “resting too much”. So let me ask you. Are you still sleeping too much? Are you resting too much? Are you watching TV too much, or surfing the internet too much? Time is in short supply. You can make a decision to make the most of your time this year. You know sometimes we are so impatient with God. We want it and we want it now. We compare ourselves to other people. We think this person and I are age mates and now she is married. This person and I married the same year, in fact the same month and day, and now she has 3 children to show for it. This person and I graduated the same year, now he’s a Head of Department. It’s the worst thing you can do to yourself. We are all on a different time-table, and it’s the end that really counts. Be grateful for where you are today, and be rest assured that with God nothing is, and nothing shall be impossible (Luke 1: 37). Some of my older friends and acquaintances got married last year, and it is a testament to God’s awesome grace and power. Couldn’t be happier! This time of waiting for you also shall soon pass, it’s never too late. Last year, I learnt afresh the importance of family. It’s amazing to have a few closely knit people who have absolutely got each other’s back. You know there are just a few people in the whole world who think you’re close to perfect and can hardly do any wrong. Truly amazing. Love you Boo, love you my adorable angels. Wouldn’t trade y’all for anything in the world! Make 2014 count! Yes you can! So, I’m quietly minding my business on the internet and I come across a post titled “It’s time for COZA pastor, Biodun Fatoyinbo, to answer these questions” by Japheth Omojuwa, demanding answers from Pastor Fatoyinbo of COZA on the Ese Walter story. Then I remember I had written a piece about hero worshiping for a magazine which never got published and decided to publish it here, after all this is my own blog, lol. So here goes …. Of course it’s great to show respect and give honor to whom its due, but as this scene played out in front of me, I sat there thinking about how we tend to idolize people in position of authority, especially Pastors. And I seriously consider this to be a cultural thing. I’m not saying this doesn’t happen in other climes, I’m saying it happens to a higher degree here because of our cultural inclination towards extreme respect for elders and for authority. We are brought up not to question our elders (leaders), at least not to their hearing. Sometimes making us vulnerable to be ‘willingly’ misled by these so called leaders. There is even a wise saying in Yoruba that says ‘A ki n so’pe agbalagba n paro’, literally meaning ‘We never say the elderly one is telling a lie’. Even when they are telling a blatant obvious lie? Oh yes! You are expected to pretend not to have noticed! In the Pastor-Congregation relationship, this easily translates to hero-worship. Whatever Pastor says comes straight from the throne of heaven, and cannot be questioned or overturned. Questioning the Pastor automatically makes you an agent of destruction from the pit of hell! And you will promptly incur the wrath of the faithfuls! The interesting thing is that many Pastors realize this great level of influence on their congregation, and so many misuse it – dictating who to marry, how much offering to give, teaching a new level of grace that is not found in the holy book, and what not! Hero worshiping is apparently not something most people will easily admit to, so let me tell you what I mean by hero-worshiping (Pastors especially). If you can’t disagree with your Pastor, no matter what they say or do; and/ or you fight people who disagree with your Pastor and take it personally; then you have crossed the line from admiration to adoration! The technical term is ‘hero-worshiping’. In the context of hero-worshiping, it is not difficult to see how the Ese Walter story could have played out, at least the way it was told by Ese Walter herself. Now, I say ‘could have’ because I cannot claim to know exactly what transpired between Ese Walter and her Pastor, or if anything transpired at all. The jury is already out on this issue, and the jury is heavily polled. Some in favor of the lady, some in favor of the Pastor, and of course most congregation members are in complete defense of their Pastor. Those who won’t defend are simply mute, they cannot talk of their Pastor in that manner! God forbid! So they will keep going to the same church. No questions asked, no answers received! The Ese Walter story is left inconclusive and is now being gradually swept under the carpet, and yet some of the core issues have not been addressed: Whose responsibility is it to make sure this sort of abuse does not continue in the church? Whose responsibility is it to make sure the church (at least the affected congregation) knows the truth? What kind of consequence is mete for Pastors who abuse their influence in this manner? Who disciplines Pastors and General Overseers? Who should people like Ese Walter turn to with an assurance of being truly heard? Shouldn’t there be a proper investigation into stories like this? At least by the leaders of the affected congregation? Or even by the media? Who will protect the gullible sheep from the cunny shepherd?! If you are a church-goer, you should take this opportunity to reflect. It’s important to balance out your Pastor’s teaching with that of other gifted Pastors and Teachers. It’s more important to study your bible for yourself, and seek a personal relationship with God, so you can truly find him. Don’t be the next gullible sheep! Mondays are arguably the most dreaded day of the week. A lot of people really seem to hate Mondays. Maybe hate is a strong word, okay dislike Mondays. The average worker (employee) knows he is expected to hate Mondays, so even if he doesn’t, he plays along anyway. Poor Mondays! The standard question in most work places on Monday morning is: “Hey! How was your weekend?” and the standard response is: “Great but short, wish the weekend would never end!”. Interesting, innit? Another but – It’s possible to be an employee and live like an entrepreneur. Did you say “Ahn ahn!” You mean you don’t agree? I can hear you screaming, “For where??”. Please hold your fire, like DH will say…Lol. It really is, this is the other enviable group of workers called Intrapreneurs. I use this term not in the cliché way that it has become common to use it these days. I don’t mean employee engagement, or buy-in or any other fancy work place jargon. I literarily mean ‘Employed Entrepreneurs’. Sounds contradictory, but they do exist. Like the entrepreneurs, they have absolutely no reason to hate Mondays. Monday=Saturday=Any other day of the week. No shaking. Keep smiling.…Lol. There are very few real intrapreneurs though, largely because it takes two to make this one. Unlike with entrepreneurship where you can make up your mind on your own, sack your boss (if you already have one), and think of something to make money, and voila! another entrepreneur is born. With intrapreneurship it’s quite different, an entrepreneur often has to go in search of an employee who is willing to be an owner, someone whose purpose in life fits snugly with the mission of his business, someone who is a master of self, and a master of the business at hand; and on his own part (the entrepreneur/ employer), he has to be willing to relinquish autonomy with regards to task, time, technique and team (this part I got from Daniel Pink’s Drive). On the flip side, if you are an intrapreneur, you have to be found by such an entrepreneur. Not so easy. There’s been a lot of focus on entrepreneurship, especially in Nigeria, where the ‘no-employment’ and ‘under-employment’ syndrome forces most people to be an entrepreneur of some sorts. It’s called: Ona kan o woja (literarily ‘not one road leads to the market’). So, most employees will still have a side hustle, but rather than living the life, most times their weekends, public holidays and after work hours also disappear, leaving them with ‘no life’. Not a pretty situation. Now, I’m at the risk of making this post a rant! I better get back to my gist. My gist is really about intrapreneurship, as there are so many people talking about entrepreneurship already. So, if you are like me, and you will like to live the life, while you still have some sort of predictable income, and you don’t have to think about health insurance, or have to bear all the risk or any risk at all (that’s hard); then intrapreneurship is something you should purposefully look out for. It’s okay to have a job that pays the bills, it’s better to have a job that makes you feel happy and free. And it is possible too. Like I said earlier, intrapreneurship can only happen when there is an intersection between purpose (passion), mastery, and autonomy (Purpose, Mastery, Autonomy – From Drive by Daniel Pink). The first two depend on you to discover and to hone, but the last one has to be freely given by a willing employer. Hopefully, a growing breed of employers. I wish you good luck in your quest for living the life! And hope you start to love Mondays as much as you love Fridays pretty soon.